DBOPTIONS SUPPRESSTRIGGERS for delete cascade constraint on the target side (REPLICAT) in 11.1.0.7 is missing. Ct was using OGG ver 10.4 initially for replicating from 9.2.0.8 on Sun Solaris to 11.1.0.7 on AIX. Ct ran into issues as they had 232 tables with 250 DELETE CASCADE constraints while replicating delete records. to disable the constraint and involves lot of manual work. that was to be set in the REPLICAT which would fix this issue. the parameter SUPPRESSTRIGGERS is not available for 11gR1, 11.1.0.7.
very happy as initially, we were told the ct that the parameter will be available for 11.1.0.7, but it didnt make it as per the doc. If we can build the same for 11.1.0.7 it will go a long way in maintaining this high profile ct.
check the OGG v11 guides and ensure that you are looking for SUPPRESSTRIGGERS or DEFERREFCONST. 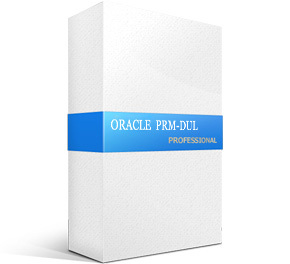 Oracle version 9.2.0.7 and later. When coming to SUPPRESSTRIGGERS, we have some packages added to 10.2.0.5 or 11.2.0.2 and above. Those packages are needed for this to work. For 10.2.0.5, we need to use dbms_streams_auth.grant_admin_privilege and For 11.2.0.2, we use dbms_goldengate_auth.grant_admin_privilege.